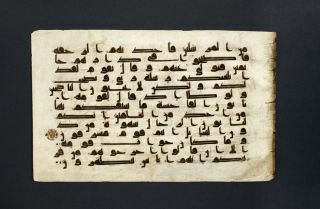 This vellum Qur΄an page has 13 lines in kufic script. The vowels are indicated by red dots. 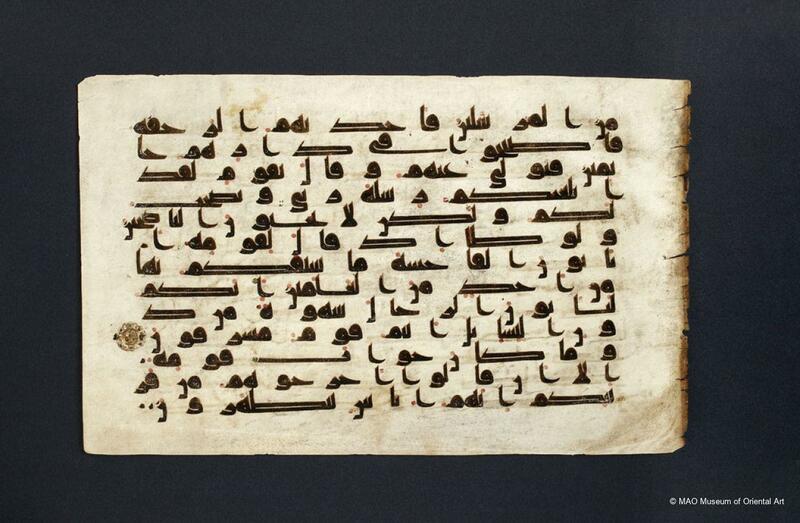 Text: Surat al A’raf, VII, parts of verses 77–86. Verse 80 is marked with an illuminated device in colours and gold.